Hello loves! 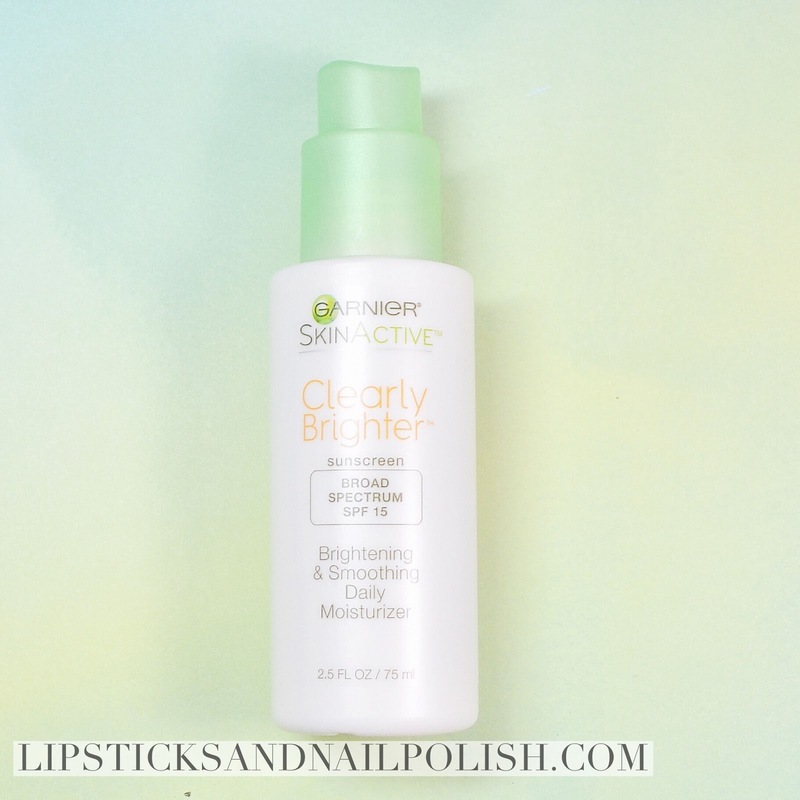 Today I bring you my review on Garnier's new Clearly Brighter skincare line. 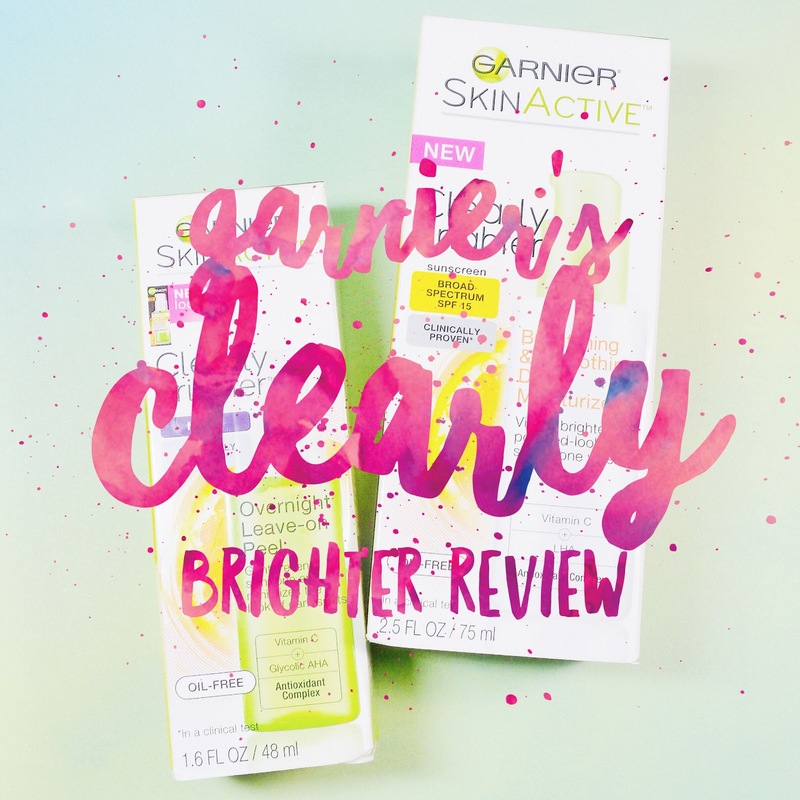 Garnier's new Clearly brighter collection claims that in just a week, your skin will apear brighter and more even toned. It helps correct dark spots, improves skin texture and evens out wrinkles. I've been using this product for about eight weeks now, which should be enough time to notice a difference if there is one. I picked up the Clearly Brighter Overnight Leave-On Peel Mask and the Brightening Daily Moisturizer. I have thoughts. These are them. Jumping right into this review, I will say that I've used drugstore skincare products before, specifically Garnier products. I never really had a problem with any of them. I have oily to combination-oily skin, and during the summer because of sun exposure I do get dry spots around my nose. Starting with the moisturizer, I did not think it was all that moisturizing. I didn't feel that it absorbed much into my skin. It wasn't bad but it wasn't great. I did have issues with breakouts (more about that later) but I don't think it was related to the moisturizer specifically. I used this product for over a month and honestly, didn't notice a difference in brightness in my skin. I'm going to have to give this product a thumbs down. I don't have any wrinkles yet so I can't attest to it smoothing that out but I do have noticeable pores and it didn't smooth them out at all. I didn't necessarily like the moisturizer, but I see it working for some people. Maybe as something light to use on a makeup free day or someone with more combination skin. The peel mask on the other hand, I don't see working at all. It's a serum type mask that you're supposed to use before bed and leave on. Why it even mentions peel in the name is beyond me, since I could not get this mask to peel off at all. The consistency is nice and it does have a nice cooling effect to it, but a week into using this I started noticing breakouts. I get breakouts every so often, so I used this only on one side of my face and sure enough, that's the side that kept getting breakouts. I stopped using this about four weeks after because I really couldn't handle any more breakouts. I know using new products your skin has to adjust to them and sometimes breakouts happen, but four weeks in you shouldn't be experiencing as much as I had been. This also had no affect in terms of skin brightness or a more even skin tone. I would have to say both these products are a hard pass for me. I didn't try the other two products in the line but to be honest, I think I'm good. The moisturizer retails for $14.99 and the mask for $16.99 and is available in most drugstores. Hope you guys have an amazing day! Love you all!